I write crime fiction novels, sometimes known as mystery novels in the US, because I am fascinated about the psychology and motivation behind murder cases. What makes people do the dreadful deeds that take away lives and leave many victims behind? 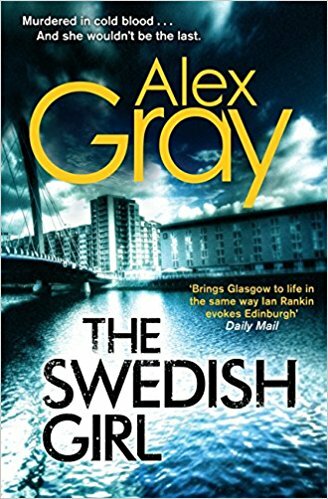 The latest book to appear in the US is TheSwedish Girl, although the latest in the UK (my fourteenth in the Lorimer series) is Still Dark. 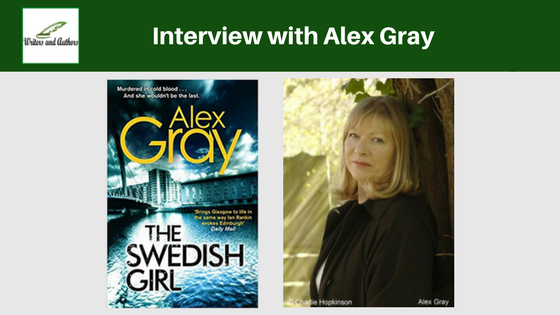 The Swedish Girl involves the investigation by Kirsty Wilson when her student flat mate, the beautiful Eva Magnusson from Stockholm, is found murdered. A fellow flat mate is arrested and placed in HM Barlinnie prison on remand, something Kirsty feels is all wrong. She enlists the help of her father’s boss, DCI Lorimer and the case takes several twists and turns with Kirsty acting as an amateur sleuth, sometimes guided by her new mentor. 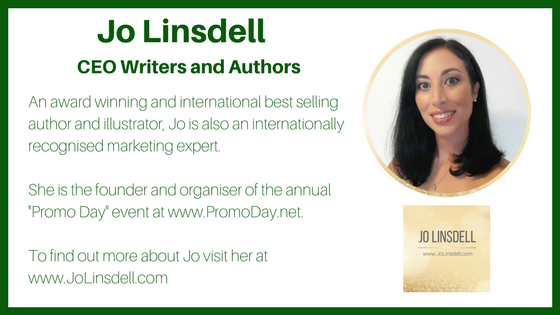 I am very fortunate to have my publishers in the US giving my books blog tours at the moment and so I am using social media to promote my books. In the UK I carry out real tours of bookstores and attend many literary festivals throughout the year. All of my books are available in hardback, trade paperback, paperback, audio, large print and Braille. Louise Penny, Alexander McCall Smith, PD James, Ann Cleeves, Chris Brookmyre, William McIlvanney, John Le Carre, George Mackay Brown, Alanna Knight, J R R Tolkien, William Shakespeare, Geoffrey Chaucer, Jane Austen. Believe in yourself, persevere and edit, edit, edit. What’s your favorite quote about writing/for writers? “We like the plot, Miss Austen, but all this effing and blinding will have to go”! Oh, a hard question! Two answers I think to this. Firstly the freedom to work as and when I can but just as important the best thing for me is the friendships I have made of other writers throughout the world. That is such a blessing. 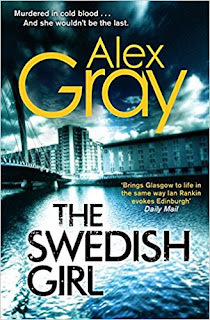 The Swedish Girl was written with Kirsty high on my list of favorite characters but Lorimer probably comes equal first! Why? Well, Kirsty is a keen observer of human nature and an all round decent person and it was refreshing to see a crime scene from the eyes of someone outside the police as well as to maintain Lorimer’s perspective on things. I love Lorimer for his sense of justice and his determination to see the perpetrator of crimes brought to book. It is different from most crime novels in that it centers around Glasgow student life, involves police procedural as well as an amateur sleuth (which does not happen in any of my other novels to date) and also shows the reader what it is like in one of the most famous prisons in the UK. The cast of characters is intriguing as many of them have a motive for killing Eva and I hope that the final outcome is a surprise! The book also depicts Glasgow in some detail, something readers always tell me they enjoy. I really cannot remember the exact amount of time but it would be about nine months from start to finished ms. The art department at William Morrow; clever folk there! I did a huge amount of research in Barlinnie and was surprised to find that Christmas can be a lot of fun for inmates as they have a lot of sporting competitions. The chapel there is also a place of peace and tranquility. The US and UK Kindle editions can be purchased online and UK hard copy editions can be found in any good bookstore here in the UK, Australia, South Africa, New Zealand and Canada. Lots of interviews, blog tour and comments on Twitter and Facebook. You can follow me @alexincrimeland on Twitter for example. 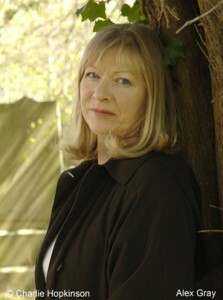 Alanna Knight, MBE, my dear friend and fellow crime writer. At almost 95 years of age she is about to produce her 80th novel. Alanna is wonderful. She is so organized and has a perfect life work balance. Her age is just a number and those of us who love her admire her red hair, perfectly manicured nails and little leather biker jackets as well as her enthusiasm and energy. She is one of life’s givers and has helped numerous writers over the years, conscious of the need to “pour the wine back into the soil” as she often says. Very meticulously! I have lots of police and forensic contacts and I go to them for advice all the time. I begin from a stand of knowing nothing so I go out and talk to experts; armed with ten good questions, I can return home with twenty good answers and lots of great stories! Meeting and interviewing real people and going to places brings my books alive. I do not labor the research material however, using just enough to authenticate the story. What is your work in progress. Tell us about it. Ah, that is impossible. I do not talk about a work in progress. All I can say is that I am about a fifth way through book 16 in the Lorimer series and it should be published in Spring 2019, DV. I have friends who have successfully self-published but I have also seen some books from self published authors that are in woeful need of a good editor. I think the hard work and determination needed to secure a traditional publisher pays off greatly but I do admire those who market their own work successfully. Their energy is amazing! Heaven alone knows! I have been writing since I could. Aged five or six? My primary four teacher told my parents I would become an author. I was eight at the time. Being a writer was always what I knew I wanted to be though the need to earn a living took me down other routes first. That was not a bad thing as I bought life experience to bear in my subsequent writing. The book that has most influenced my life in the Holy Bible. The authors that have influenced my life? That is trickier. Possibly John Le Carre, Fyodor Dostoevsky and CS Lewis. When you’re not writing how do you spend your time? Do come over and see me there! I enjoy reading interviews after reading the book and this was a good one. I am addicted to this series so glad to see that more titles are on the horizon!